The Christian School represents a break with humanistic education, but, too often in leaving the state school, the Christian educator has carried the state's humanism with him. A curriculum is not neutral: it is either a course in humanism or training in a God-centered faith and life. The liberal arts curriculum means literally that course which trains students in the arts of freedom. This raises the key question: is freedom in and of man or Christ? The Christian art of freedom, that is, the Christian liberal arts curriculum, is emphatically not the same as the humanistic one. It is urgently necessary for Christian educators to rethink the meaning and nature of the curriculum. It should be clear then that whether history, science, mathematics, grammar, literature, ecology, civic duty, or law, every aspect of curriculum must be reconstructed along Biblical lines. The overall objective is for Christian families to prepare and equip themselves for service in the Kingdom of God, and this cannot be done without a rethinking of the philosophy of the Christian curriculum. 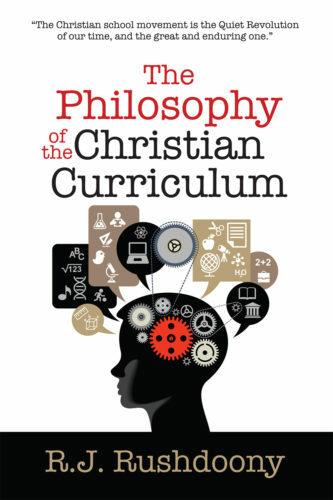 In this study, Rousas John Rushdoony develops the philosophy of the Christian curriculum. It is the pioneering study in this field, and it is important reading for all Christian educators.